My name is Alex Taylor, and I am the Digital Media Specialist here at BizIQ. Today, I will be discussing the important topic of the use of video in your marketing for your business! What was that? “Not important, you say?” Oh, I beg to differ! In fact, there have been many, and yes, I do mean MANY studies on the impact of video on small business marketing. ➤ It has been estimated that in 2019 internet video traffic will take up 80% of all consumer internet traffic. ➤ Not to mention that nearly 97% of marketers state that videos help increase understanding of a business’s product and services! ➤ And nearly 75 million people in the U.S. today watch online videos. Every. Single. Day. Now, I can understand the pressure of trying to construct a marketing video to advertise your business. Heck, some of you probably don’t even know where to begin. Well, I am here to help offer some — guidelines, just to help you get started down the path of creating your own video content. Now, don’t worry. I will not be getting into all the technical aspects of lighting and camera work; that is for a different video. I will instead provide you with some ideas to keep in mind to help set you in the right direction. Now, the guidelines for making a successful marketing video can be broken down into six starting principles. Number 1: Start with a strategy/plan. Number 2: Build the video based off of what you know and what’s familiar to you. Number 3: Start with a hook. Number 4: Make your video more of a story, and less of a sales pitch. Number 5: Research what your competitors are doing. Number 6: Make sure that your video is SEO friendly. excellent leads but will help you create relevant content that you will be proud of. Just give me two minutes to dive on in. Let’s get started with good old numero uno: Start with a Video Strategy/Plan. If you do not have a plan of execution than you plan to fail as a result. This plan includes a narrative structure and even an edit in mind. 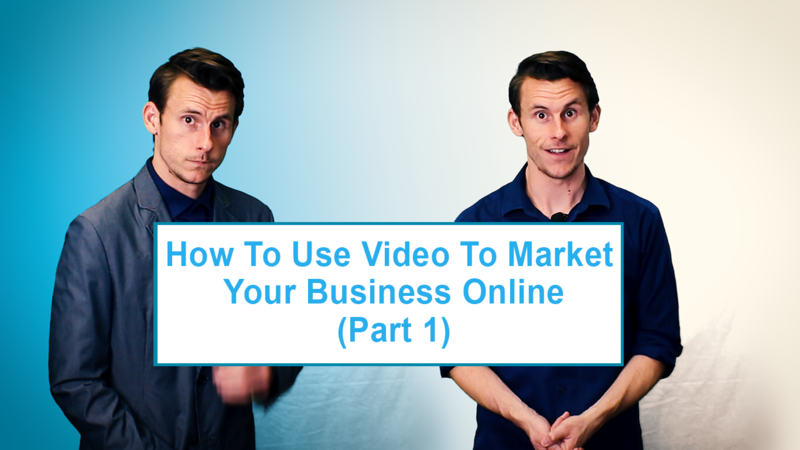 ➤ To you, the business owner, what does the final video even look like? ➤ How long should it be? A minute? Two minutes? ➤ And what should the video even address? 3. What benefit can you provide to a potential customer? Each provides a perspective and should be addressed in the video and should show who you are as a company, who is your targeted demographic, and how can you give a solution to a potential problem. These questions will help make sure that your video stays on target. Which is a perfect segue into Number 2! Honesty! There is one key factor that revolves around this specific point, and it is imperative when it comes to bringing in more leads, and that factor is honesty. When it comes to making a marketing video, you should just be you. Do NOT be something that you are not. Build the video based off of what you know and who you are as a business. ➤ What values does your business uphold? ➤ And what passions drive your business to do what it does? ➤ Be direct and straight with your audience. The last thing anyone wants is to be lied to. Sadly, that is all the time that we have, come back next week for points three through 6! I am Alex Taylor with BizIQ, signing off! Make sure to subscribe to the BizIQ blog for more marketing tips and strategies delivered right to your inbox! Oh and do me a favor, tell me how you plan to use video in your business in the comments below.